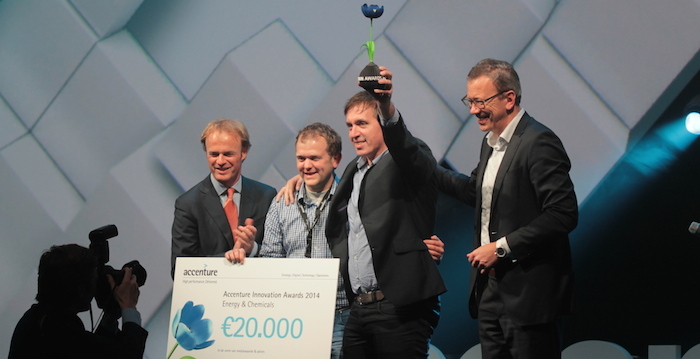 This year’s edition of the Accenture Innovation Awards was one of the best innovation events in The Netherlands: there is enough selection to only have mature ideas and promising startups on stage, while the different categories ensure that all startups have a fair chance of winning. Here is an overview of winners and runners up. Accenture, a management consulting firm, has organized the Accenture Innovation Awards for more than five years in order to bring together startups and corporates: Instead of filtering innovative ideas for their corporate clients, Accenture allows their clients to talk with the startups directly. 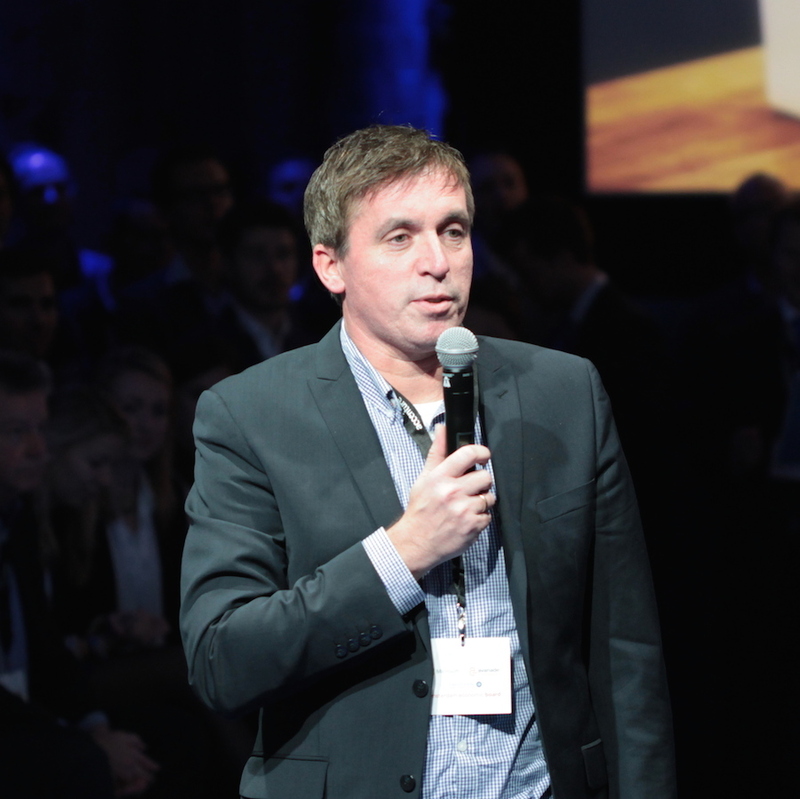 Pieter Paul van Oerle started the innovation awards years ago for media innovations, and the event has grown towards more than 10 categories, ranging from energy to communication to consumer products. For startup founders it is an ideal event to see how startups from other sectors operate: pure digital startups can see how medical startups operate and vice versa. Previous editions of the Accenture Innovation Awards were not perfect: some editions (AIA 2012 and to a lesser extent AIA 2013) were simply confusing due to overlapping activities and too many stages. This year’s editions was a remarkable improvement: the event was busy but not overcrowded and had a more relaxed atmosphere. The only drawback of the new location was that it could not be reached through public transport, but luckily sponsor Tesla had many taxis at hand. There were two pitch stages, one main stage, round tables in the morning and an open space were several startups demonstrated their products: enough options to let people pick their preferred choice without making the event impossible to cover. For the featured startups it was also good that there were only two stages: this allowed for enough time per startup while still reaching most interested visitors. For each of the ten categories, five startups were selected. They each gave a short pitch followed by questions from the jury. Each category had a different jury, comprised of top management from the same sector: a true meeting between startups and corporates. The fact that the juries are all different adds an interesting tension to the competitions, as some startups are nominated in multiple categories. This allows for startups to win multiple prizes and also to win outside of their own category. The only, minor, drawback of this year’s edition was that in most categories, no questions from the public were allowed. The accenture innovation awards have twelve prizes, the so-called tulips: 10 blue category tulips, one green tulip and one audience prize. Here is an overview of winners and runners up. The winner is this category was eTag & eTrack, a product of fasttrack company. 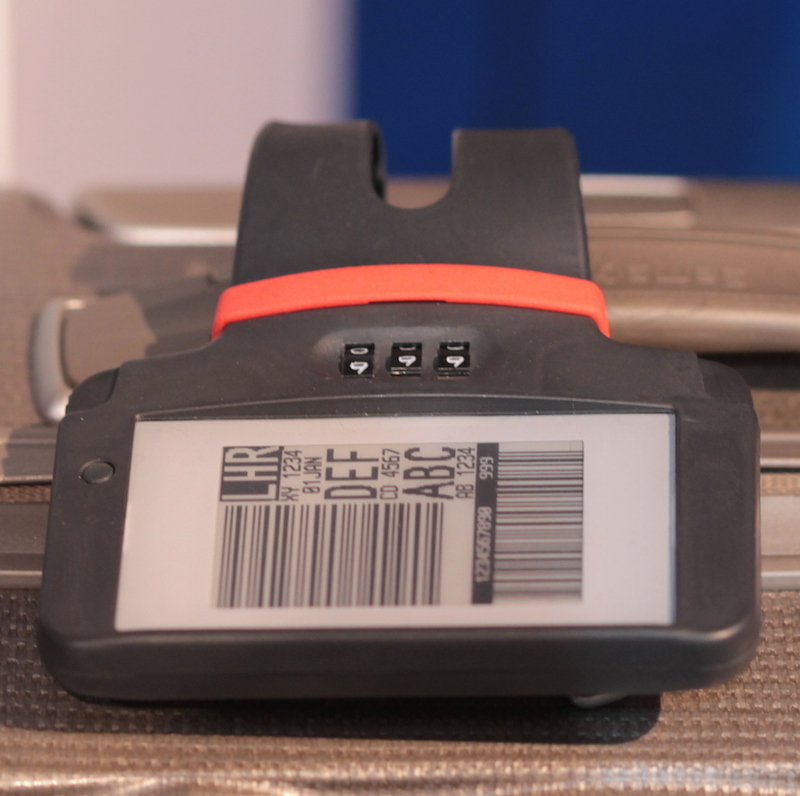 They make a smart electronic luggage label. Each label contains an electronic display that shows the destination and tracking number of the item. Fasttrack is funded by the Mainport Innovation fund, that has Schiphol, KLM and Rabobank as shareholders. Runners up in the category were hetzorghorloge ( a connected watch that aims at elderly people) and also I like local, a platform for sustainable travel. The jury of this category also awarded first prize to eTag & eTrack, showing that different juries can have the same preferences. Other nominees included the Ampelmann (offshore platform), planeandtrain (clever travel advice site and the very technical mixed row palletizer. The category winner is Dr. Ten, located in Wezep: Dr. Ten has developed a new battery that uses seasalt as a main component, and this makes the battery cheaper and more environmentally friendly than existing lead-based and lithium-based batteries. It will probably not be used in cars where power to weight ratio is the main issue, but the technology seems ideal for stationary use such as emergency power backup and storage of solar power and wind power. Other nominees include Sensus energy (Startupbootcamp Hightech alumnus) and the Ocean Cleanup Array, an initiative to clean up plastic rubbish from the ocean. Dr. Ten is also the surprising winner of this category. As explained above a really interesting product, but not really a consumer product. The runners up were Homey, who makes a universal remote using voice technology, and Kidswatcher. Kidswatcher participated last year in Startupbootcamp and has raised a lot of money through crowdfunding. They have used the funds to design their hardware product and showed their finished prototypes at the event. “It took a lot of effort to get all components into a watch, and also sort out all antenna issues. 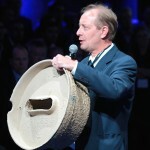 But we are now ready for production” told founder Erik Recter. Crowdyhouse is an online marketplace for design products. The company participated in the Rockstart program last year. Also nominated was GoldenEggCheck, a business case assessment tool. One of the founders of this company recently wrote on StartupJuncture about crowdfunding valuation. The financial services award had a few interesting startups. First of all CashorcardPOS, the new product from the team of Buzzoek: a good example of how startups pivot, in this case from loyalty to cash register solutions: “We discovered during customer interviews that loyalty is something retailers want, but not something they absolutely need. They do need more flexible cash registers that work well with loyalty programs, so this is what we built”. Also nominated are Sparkholder, a company that helps companies report to their investors by linking with the online bookkeeping systems. The more accurate and faster reporting can help companies through tough times: in at least one example a company could start more quickly after distress because the bank and suppliers had better information on the company position. The winner in this category was FairZekering, a pay per use car insurance policy. Each driver installs a smart plug in their car and is subsequently rewarded for safer driving. Privacy is guaranteed through several features, for instance a delete button once the monthly fee is calculated. The winner in this category was AbcdeSIM, a serious game for medical staff that is already in use in twelve hospitals. Surprisingly, the high tech jury choose a medical startup as the winner: Medimetrics, a company making smart pills that release the right dosage at the right place in the patients body. The winner in media and entertainment is Blendle, the journalism startup. A well deserved win, since this startup is not only reshaping the Dutch media landscape but has also grabbed international attention: last month (october 2014) they secured an investment by the New York Times. Founder Alexander Klöpping commented in the Q&A on this investment: ” For them it is a small, strategic investment but for us it is a high vote of confidence. It has made it easier for us to reach out to other newspapers: when we mail them, they now mail back”. 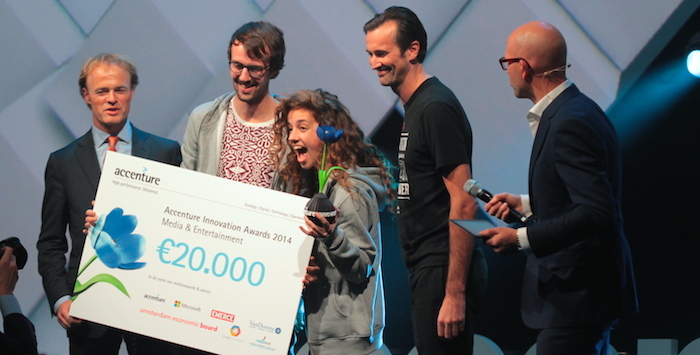 The winner in this category is 4silence, with their noise-cancelling ‘sound barriers. Their specially designed tiles are placed next to the road and send any noise upwards. Test tracks have been deployed at Hummelo. The Green Tulip went to Groasis technology, who has developed a carton waterbox that can be used to grow trees in dry areas The water container releases just enough water to keep a small tree alive, while still motivating the tree to grow deep roots. A smart and also lowcost solution. Finally, the audience prize went to United wardrobe: a marketplace especially for clothing. They were able to collect the most votes from their user base.